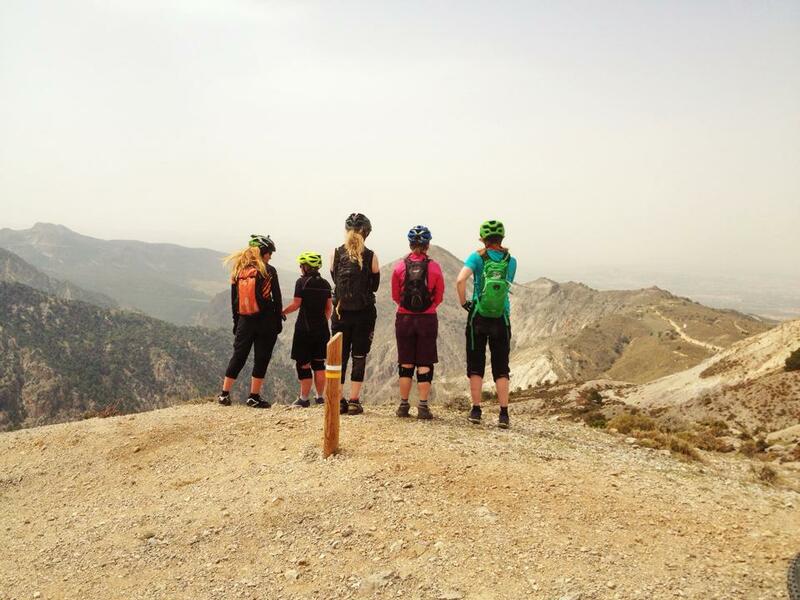 Petal Power training camp with Ride Sierra Nevada. 7 days, 100km’s of singletrack, 1000’s of metres of climbing, copious tapas consumed, some Irish dancing and lots of new skills nailed. Ladies, it has been a pleasure. Last Tuesday I built my bike by the luggage concourse of Malaga airport and rode my Cannondale Jekyll 150km to Granada. Carrying only 1 extra pair of pants, a sawn off toothbrush and a jar of Marmite over and above the kit I would need to lead the following weeks Petal Power training camp, I sweated my way up from the coast and into the mountains. 8 hours later I was sitting in a bar in Monachil, my home form home, with my good friends and hosts for the week, Shaun and Csilla from Ride Sierra Nevada. I spent 3 blissful days reacquainting myself with the trails in the area, catching up with friends and wondering to myself why I don’t live here and then the Petals arrived. That sounds bad doesn’t it? Our aim for the week: to take each individual’s skill level from wherever it is and send it through the roof. 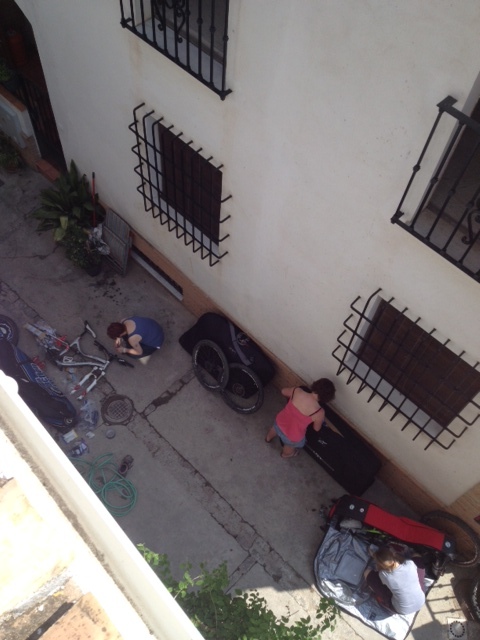 Day 1: Bike build and faff day. We got out for a ride in the nearby forest in the afternoon after everyone had done some swearing and footering with bikes. We talked about body positioning and attempted to get a bit more dynamic on our bikes. 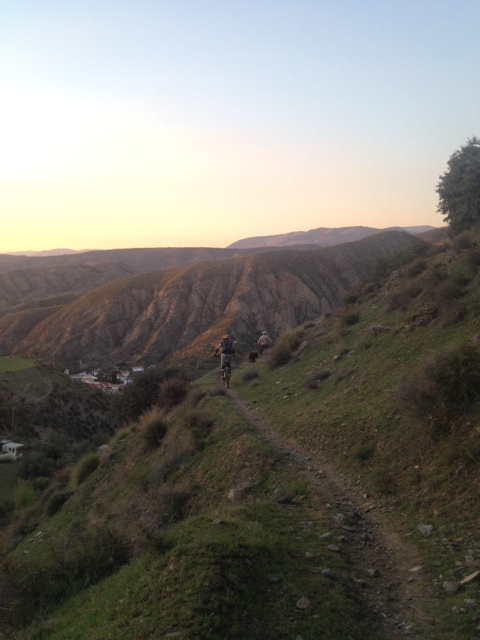 Day 2: While a few of us opted for self flagellation and rode the infamous Purche climb out of the village, others saved their beans and got an uplift safe in the knowledge that there was still a 700m climb to complete before a techy, switchback descent back into Monachil. Today we concentrated on cornering technique and reading the trail for traction as well as not crying at the overwhelming effort required to get home in one piece. This we did and so we celebrated a little. 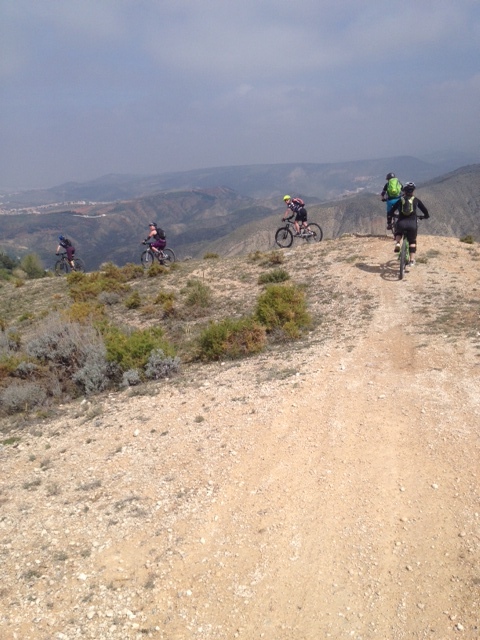 Day 3: Today we rode from Monachil to Granada on contouring singletrack stopping only for coffee and to session drops. We eventually popped out above the Alhambra palace and wiggled about the cobbled streets of Sacromonte before descending a gazillion steps in the historic Albycin. No one enjoyed that at all and there was absolutely no whooping or smiling whatsoever. With some evening energy left, we practised our Irish dancing in the kitchen and I gave myself a groin strain. Day 4: Rest day (notes to self: Things Not To Do On A Rest Day – Go running with an amazonian warrior for 3 hours up Los Cahorros gorge). While I went running for 3 hours with my good friend and winter training partner up Los Cahorros gorge (idiot), the group explored its lower more intricate nooks and crannies. In the evening we had a yoga session. I ignored the badly stifled giggles when the OMMMM’s began and lost myself a bit. Lovely. Then, 2 of members of the group went down with a vomiting bug. Shouldn’t have giggled at the OMMM’s. 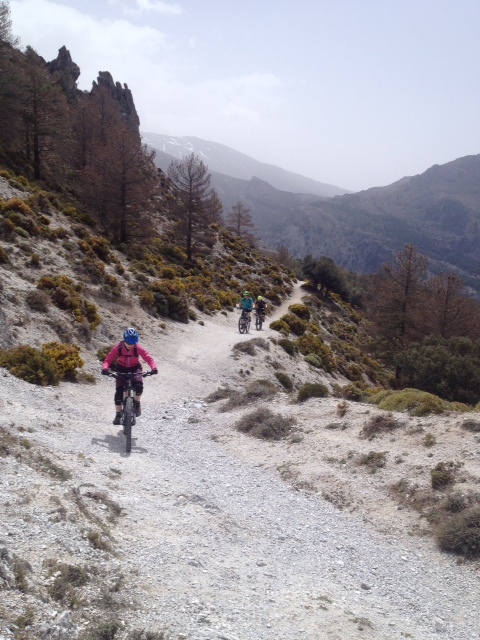 Day 5: With 2 down, the rest of us rode uphill all morning then round Mount Trevenque to descent on a mixture of dry riverbeds and glorious singletrack. We practised using our whole bodies to manoeuvre our bikes and tried to stay loose. We felt like the cast of Lord of the Rings up in the sunbleached, moonscape of Trevenque. Here you can see Frodo trying to take Strider’s hand while Legolas stands nearby. Day 6: We lost another one to the sickness bug last night and so the remainder of us deployed the strategy we called Make-Yourself-A-Bad-Host-For-A-Virus. How we did this is for your imagination to conjure but it did involve staying out late and getting up early. 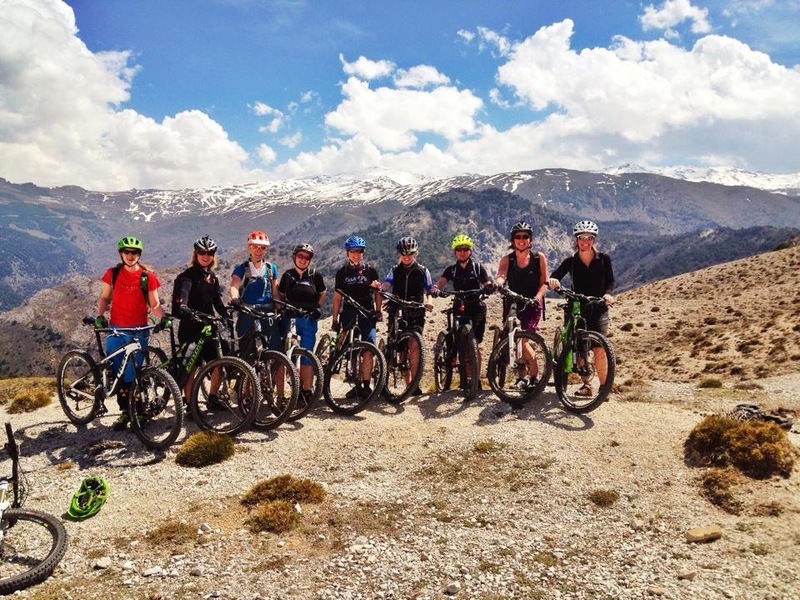 Today we made use of Ride Sierra Nevada’s van and trail knowledge and rode 2 stages of their upcoming enduro race high above the beautiful village of Guejar Sierra . We consolidated what we’d learned about body positioning, reading trails, carrying speeds out of corners and not crashing. Some of us seemed much more advanced than others at the not crashing part. The more cultured (and broken) among us ditched riding altogether today and visited Granada’s Alhambra palace. 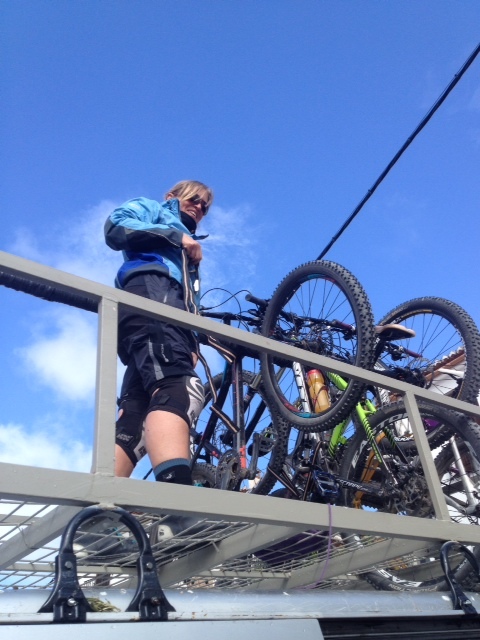 Day 7: Those with any beans left made an early start up a stiff climb into the forest and sneaked in a cheeky wee extra descent before we all gathered together to practise weighting, unweighting and pumping our bikes for speed. We dropped back down into the village on steep switchbacks that would have spooked everyone on day one but that most people had dialled by now. More celebrations before bike packing and airport transfers. All that remained was a flight and a 4 hour drive that would see us getting back to the Highlands at 5am happy, tired and slightly sick from the sugar required to full such concentration. I couldn’t quite believe how much everyone progressed in the course of this week. The cameraderie, encouragement and support within the group coupled with a few coaching points from me and we have ourselves some extremely competent riders. 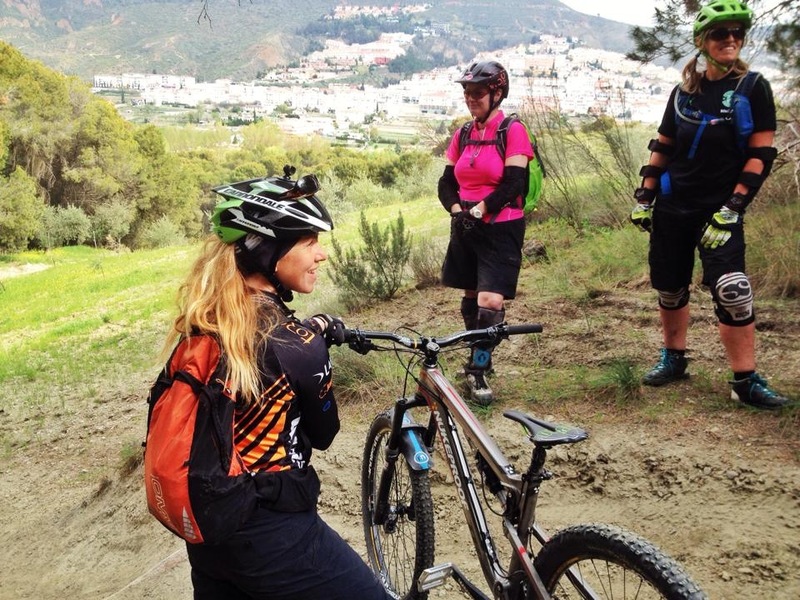 Enormous thanks to Ride Sierra Nevada for their amazing hostliness and Csilla for her patience as we sessioned sections of her local trails to death. We will be back for more. Wanna come too?